The New You Skin Clinic was founded by Sharon Whittaker, a qualified Independent Nurse Prescriber with the Nursing Midwifery Council (N.M.C), a member of the British Association of Cosmetic Nurses (B.A.C.N) and the Aesthetic Complications Expert (A.C.E) group. Sharon is a Registered General Nurse with over 25 years of experience. 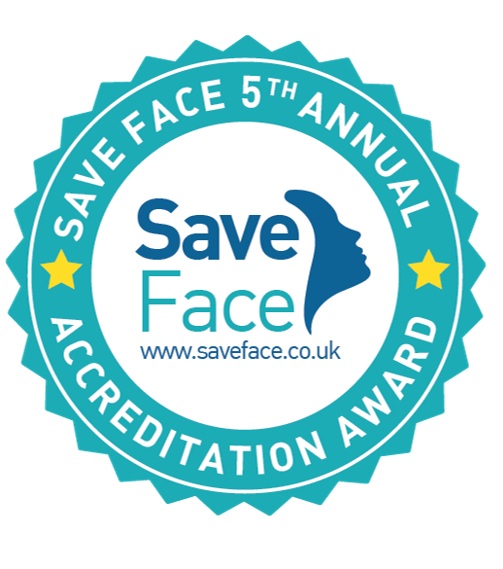 10 years experience working within the N.H.S on a range of Intensive Care Units, 15 of which have been spent in Cosmetic Surgery and Facial Aesthetics. 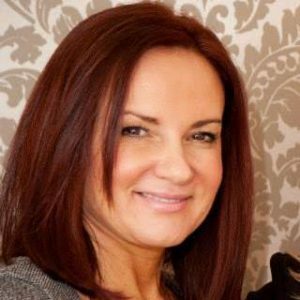 Sharon has been trained to the highest standard in Harley Street London by experts in Aesthetic Medicine. For the past 15 years, Sharon has dedicated her life to the art of Aesthetics, performing over 20,000 treatments with great success and has achieved exceptional results. With her wealth of knowledge and level of skill, you are in safe hands. ‘My Aim is to give you honest and professional advice to enable you to make an informed decision. You will never be forced into having treatments and a period of reflection following consultation is advised. The consultation is to discuss your aspirations. Whether to renew, restore, refresh or enhance and to discuss any limitations of treatment whilst managing your expectations’. I would highly recommend this clinic. All the ladies there are very welcoming and made me feel so at ease from the offset. The staff were very knowledgeable and could answer all my questions. Sharon is absolutely lovely and very professional, she made sure I was comfortable throughout the procedure. I’d had my lips done elsewhere in the past but felt this experience was much more professional and the aftercare I was offered was brilliant! The clinic itself is beautiful and I will definitely be returning here when I need a top up! Thank you ladies for a great experience. Had a treatment at the clinic last week and Sharon was very professional and put me at ease! This clinic is 5 star ⭐️⭐️⭐️⭐️⭐️ and I couldn’t recommend it highly enough! Thank you again Sharon. Absolutely amazing service and amazing staff! I was so petrified about having my lips done due to a past experience (in a different place), when I arrived I was greeted with smiles and I felt comforted. I explained to the women on the desk about my past experience and that I was so scared about the pain but I was reassured that it would all be ok. I went through to Sharon who reassured me again and the entire process was pain free and I can’t thank the staff enough! My lips look amazing, the staff did everything they could for me. Absolutely amazing service and I’ll be back to have them done again! If anyone has had a bad previous experience or is nervous about having your lips or any procedure done for the first time, then this is the place for you. Visited the NewYou skin clinic on Friday for my first ever lip filler treatment and was scared about the experience, but they made me feel so at ease! The treatment with Sharon was pleasant and she did an amazing job, I really would recommend her to anyone. Thank you so much and I will be back very soon! Can’t thank Sharon enough for my gorgeous new lips! Made me feel 100% comfortable, I absolutely love them I and would highly recommend! Would not go anywhere else, just need courage for Botox now! Just had my 3rd visit to this clinic, they are absolutely amazing! Sharon is amazing at her job, & not to mention a lovely lady! 100% would recommend. Sharon is amazing been once to new you clinic spotless highly recommended this lady is caring and genuine lovely person and her work is of very high standards – highly recommended. Absolutely quality, people are so nice and Sharon is amazing …this lady is the best of the best , will not go anywhere else. I had my lips done Friday with Sharon and literally felt so nervous not knowing what to expect. She made me feel so at ease and comfortable when having the procedure done. Fab service! 100% would recommend. Beautiful clinic with friendly staff. Sharon is so lovely and is very good at her job. I definitely recommend! Amazing service and friendly staff. Just had my lips done for the first time and was made to feel extremely comfortable. Had some filler that I’d had done elsewhere dissolved by Sharon about a month ago, absolutely lovely clinic, very welcoming, professional and informative! The filler was being a little stubborn to dissolve so I was invited back no problem. I am returning to get my lips filled again in a week 100% would recommend! Just been here today for my first time having my lips done and I could not be more pleased with the results. Extremely clean practice and very polite and attentive staff. I look forward returning and I highly recommend others to use this clinic. Been having my lips done here for 2 years now and once again I love them. Sharon is amazing and so professional.. thank you so much. Will be back next year. I would highly recommend The NewYou Clinic. The team are so welcoming and friendly, they made me feel comfortable and listened to exactly what I wanted. The clinic itself is also beautiful! I am absolutely in love love love with my lips and will definitely be returning. Thank you ladies. Such lovely ladies and I felt so comfortable when getting my lips done. I came here after a bad first experience else where and they have made my lips look fabulous! Definitely will be coming back to you in the future. Thank you again! Thank you so much love my lips by far the best I’ve had. The girls are great lovely to meet them I’ll definitely be returning again very professional and welcoming can’t recommend them enough.